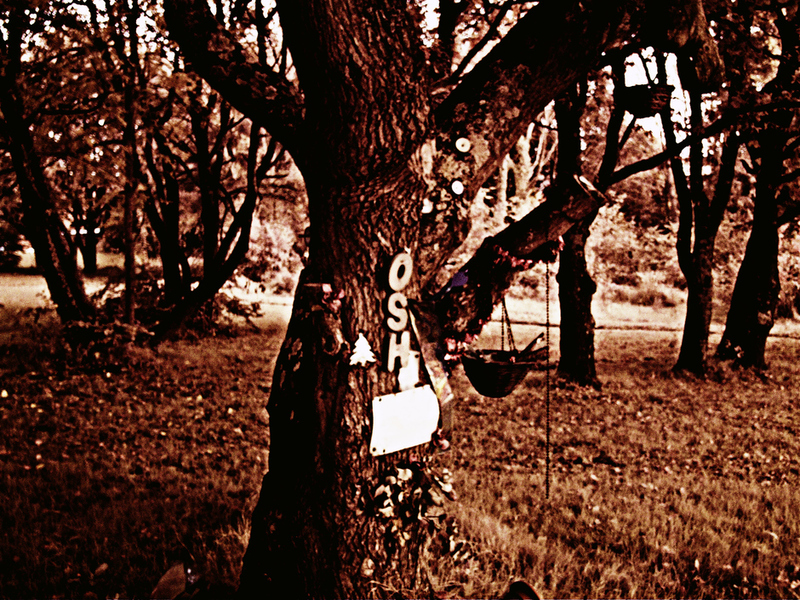 Investigation Location : Undisclosed Location (Joshes Tree) – Hampshire - UK. This was a very private location due to the circumstance of the investigation it is actually public land but from the request of the family it will remain private. I was approached by 1 of the family members (Danny) to take him to the location were his brother (Josh) had an accidental suicide at the tree outside their house. He also knew of 2 other people (as he was local) who died there just meters away from his brothers site. 1) a little girl was murdered and buried in the field. 2) his friend (charlie) committed suicide in the park that use to sit there. he was very knowledgeable and had a connection with all 3 people who he knew has died there. His brother (Josh) was first home from school and took the dog for a walk (like he did everyday) and the dog shot off and when josh tried to catch him - his brother thinks that he landed on a makeshift swing which suffocated him and Danny arrived home shortly after to find his brother dead. The little girl - was very hidden and hush hush when it happened - it had been explained as a very brutal murder....nothing is documented about it on the Internet, just information from Danny and locals. I have been informed by other locals that the field use to be very dangerous at night with a lot of people being raped,stabbed and lots of shallow graves were discovered again not documented, Just local information passed onto me. 24 hours before the investigation Danny came round to discuss the investigation and to provide me with some very informative details about his brother. He said that for to know my brother is still there (what he think he is because he has experienced things in the family home) he will have to answer 1 question and for him that would be absolute validation...he then elaborated .... I'm terrified of graveyards - when josh was alive he use to make fun of his fear and often pull him into graveyards if they walked past one....so he said that is a question i want an answer too - if he responds to that with the right answer i will know its him. He explained that no-one other than josh you and me know the answer to that question. We started our investigation at the field around 9pm (Halloween) not at joshes tree, where Danny thinks the little girl was buried. We started our EVP session and almost instantly I thought I did see a misty circular figure move behind the camera what was mounted onto a tripod and seconds after my IR handycam switched off without saving the file, obviously now I know that electronic equipment can switch off due to a change in the environment, but at the time unknowingly thought that it could be linked to what I think I did see, although it could have been anything as I still a little unsure of what I did see if anything. Reflecting on things now it makes sense to 1 of the many reasons why throughout this investigation I kept on thinking I was seeing something misty, at the time through in the heat of a unexpected vigil on halloween it caught me offguard and didnt react to it enough or review at the time. Now I consider that the misty figure could be from the darkness and lights in the distance causing the corner of my eye to make up random information to fit with the situation I was in, Another possible idea is that it was end of October on a very cold evening maybe I was seeing environmental mist through certain lights and with the corner of my eye. I packed up most of the equipment and sent Aaron of to conduct EMF sweep of the entire location just as he was leaving we got EVP "GO AWAY". Nothing unusual was documented as now I know that EMF has no correlation in paranormal research but at the time I was testing EMF theories and equipment.- we moved over to the bench behind joshes tree and started more communications. Throughout the investigation i was seeing these very odd misty shapes around me prior to this investigation i had never seen anything with my own eyes on an investigation before. It was refusing to focus on anything even with the assisted green focus light - its not happened prior or since. Obviously we tried to debunk this but no matter how we tried to re-create it , we could not get the torch to switch back on in his pocket - not saying it was paranormal but it certainly strange. 10.30ish we moved to joshes tree to conduct our communications. When Danny was talking about the little girl at joshes tree him and his friend both heard a "giggle" i did not hear it at the time , its not on the cameras audio but a giggle in on the recorders audio. When i was asking them to get close to us you can clearly hear (on all audio equipment) footsteps on the grass and stops instantly of us turning around. We all heard it and you could feel a certain energy field around us. Shortly after Danny took the lead (communicating) i heard a voice behind me that sounded very vocal - almost a male rusty voice and there was certain energy whilst Danny was trying to make contact with his brother. It almost felt like Danny was a catalyst for some type of energy - every time he was speaking it felt like something was happening around us. It really shocked him and was almost frozen and in pain - it shocked me too because Danny is a big guy really would take something substantial to make him act that way. He explained that he suddenly got really clammy, he originally tried to ignore the feeling but it got tighter and tighter the more he ignored it. I did take multiple photograph's of his neck but nothing was seen. At this point i decided to stop for awhile and calm Danny down. We started our investigation again this time at the bench and investigated for a further 20Min's and nothing else was felt or experienced and energy seemed to off dispersed so we closed down the investigation around 2:30am. In the world different person have their different types of the choice like riding cars on hot rods and run business. If you want to run the business so I suggest you must contact with the http://www.papertrolling.com/ultius-com-review/ team that give you lot of opportunity. The chronicle is the best site for the riders that loves run the cars on the hot rods. Freely conducted moments of the life are made possible for the authentic deeds for the students. the organization of the visits of http://www.analyzedu.com/writing-services-reviews/writemypaper4me-org-review.html are implemented and ensured for the entertainment of the students. Hosting is an art and no one knows it better than Dave Chappelle. I am a big and huge fan of your show. I usually use your ideas while doing http://www.bestessay.org/ to make the material stronger. As the contents of this show are so unique and the hosting style of Dave attained all my attentions. So I watch a single episode many times. To reduce the tension, we need to relax our body and mind. The good source to get the results is meditation and yoga to reduce the amount of stress. http://www.rush-my-essay.com/ demonstrates having too much stress can cause to have severe illness like Bloodstream pressure and hyper pressure etc. This book courses us in a good manner to reduce the stress in effective way. Well, the whole article has sent chills through my body. I wonder how you actually manage to keep your wits even after having such encounters. I would have fled the scene long before those misty figures were spotted around me.